Migrant groups are now calling on the government to immediately start processing citizenship applications under the existing law. After a nervous wait throughout Tuesday and Wednesday, Saksham Katyal is heaving a sigh of relief. Mr Katyal- an Indian migrant was anxiously waiting to know the outcome of the Senate debate on the government’s proposed citizenship law- The Australian Citizenship Legislation Amendment (Strengthening the Requirements for Australian Citizenship and Other Measures) Bill 2017. “It’s a great win for multiculturalism and it’s a great win for Australia, “ said Saksham Katyal who became to apply for citizenship this year. Melbourne-based IT professional Saksham Katyal says it's a win for Australia. Migrants across Australia are celebrating what they term a “huge win” for them and multicultural Australia on Wednesday when Shadow Minister for Citizenship Tony Burke announced the government’s citizenship was struck from the notice paper of the Senate. “This is a great victory for every person who wants to pledge allegiance to this country and make a commitment to Australia,” Mr Burke said in the Senate. “The delay would mean that for some people may wait more than a decade before they make a pledge to Australia has been rejected. The demand for university level has been rejected,” he said. Migrants who were going to be affected by the proposed changes are calling it a “great victory”. Shruti Vaidya who works with a big bank in Sydney says the outcome was the result of an intense campaign by migrants and politicians alike. However, she says there’s some distance to go before she begins celebrating, demanding that the government should begin processing all citizenship applications immediately. 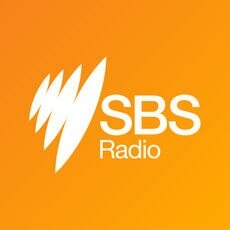 “All applications frozen as a result of the announcement made on 20th April must be processed immediately under the current citizenship law,” Ms Vaidya told SBS Punjabi. She also cautioned other migrants against any attempts at “discriminatory” moves and called on everyone to stand united. Mr Burke called on those eligible to apply for citizenship under the current law to make an application and advised the government to start processing the citizenship applications. A spokesperson for Mr Dutton has confirmed to SBS News that migrants who have already put in applications for citizenship, and those who still plan to, will be assessed under current requirements rather than the tougher measures announced by the government earlier this year. Labor will not support a redrawn citizenship bill with the elements of English language test and longer waiting period, says Tony Burke. The Turnbull government announced an overhaul of Australia’s citizenship laws in April this year. Under the new draft law, migrants were required to be in Australia for four years as permanent residents instead of 1 year. The government also wanted them to score 6 Bands on International English Language Testing Systems exam (IELTS). On Monday, NXT leader Nick Xenophon who the government was trying to get to support the bill made clear his party's opposition to the draft law in its current form. The Greens had forced a deadline on the government to bring the bill for discussion by Wednesday, failing which it was to be struck off Senate’s notice paper. The government would now have to bring a motion to bring it back at a later stage. Immigration Minister Peter Dutton says he is "flexible" about changes to the English test in the proposed citizenship legislation after NXT's opposition to the law in its current form. Nick Xenophon Team Senator Stirling Griff claimed government's citizenship changes were aimed at cutting Australia's immigration without making an announcement about it. The Department of Immigration and Border Protection says all citizenship applications received on or after 20th April will be processed according to the new citizenship law. The Labor is primarily opposed to introducing a longer waiting period and a stand-alone English language test for permanent residents.